A recent Harvard University study of thousands of Yelp reviews and businesses showed that a 1 star difference in reviews would mean 9% difference in lost or gained business. If you are a small local business, such as a restaurant, doctor, dentist, home improvement or services company, Yelp is one of the most important online review sites for your business; you do not want any negative reviews on Yelp. Unfortunately with the way the Yelp review filter works many times legitimate reviews are filtered. Yelp purposely has designed its review filter to make it hard for fake reviews to be posted, but this also results in many legit reviews being filtered. There are also many businesses that have claimed that after declining to advertise with Yelp they have seen their positive reviews removed. 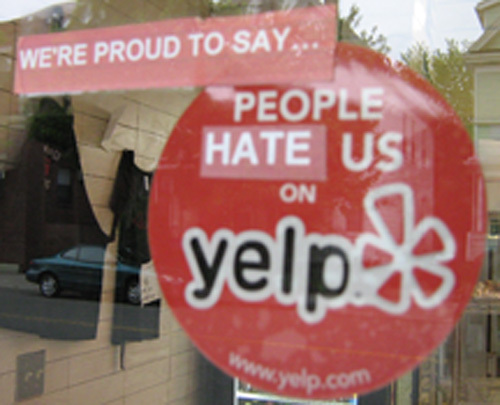 There have been some lawsuits against Yelp regarding this issue. We have been successful in removing negative reviews from Yelp. We use various methods for removal, including sending legal notices to Yelp. In most cases we also provide you 100% money back guarantee. If we fail to remove, we will refund you. Please contact us so we can evaluate your situation and see if we can help. In addition, we can help and advice on ways you can improve your existing positive reviews. Contact us today for more details. Disclaimer: Reputation Stars is not associated with Yelp or any of its employees. Reputation Stars does not offer fake Yelp reviews or compensation to reviewers for removing Yelp reviews.